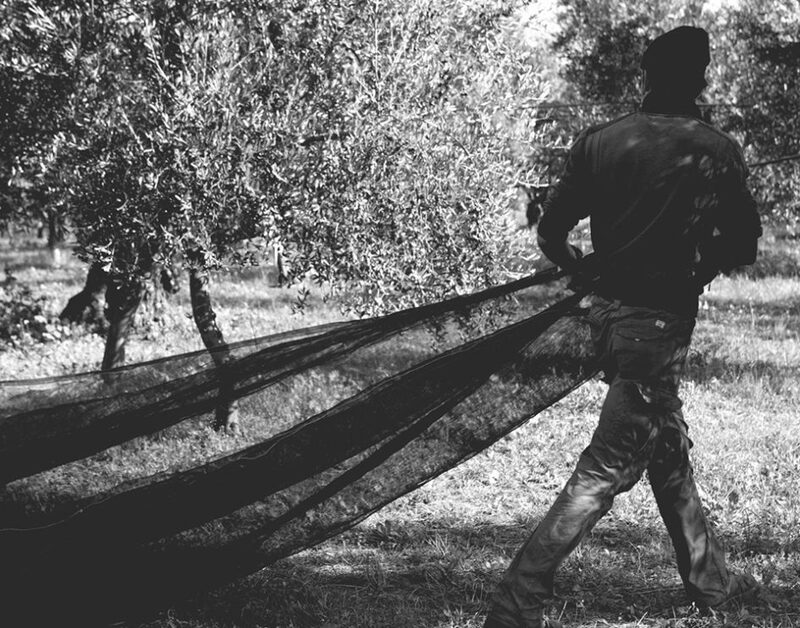 In the middle of the night they roam among the olive groves, prepare their nets and warm their hands, rubbing them together. The sky changes color, it begins to dawn and the colors begin to take shape, from blue to purple to orange. The sun in all its power wobbles from the dark-ness the hanging branches, laden with green fruits. It is time to start. 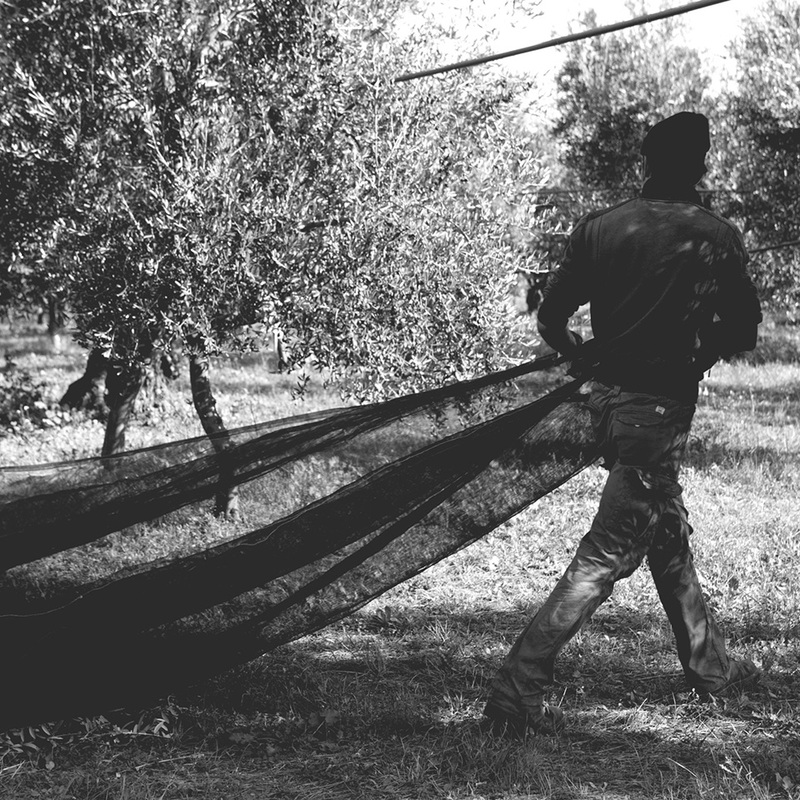 Olive fishermen wander with their nets, gently. The vivacity of their voices mixes with the at-tention to the fruits and the awareness that they will soon become a perfumed extra virgin. 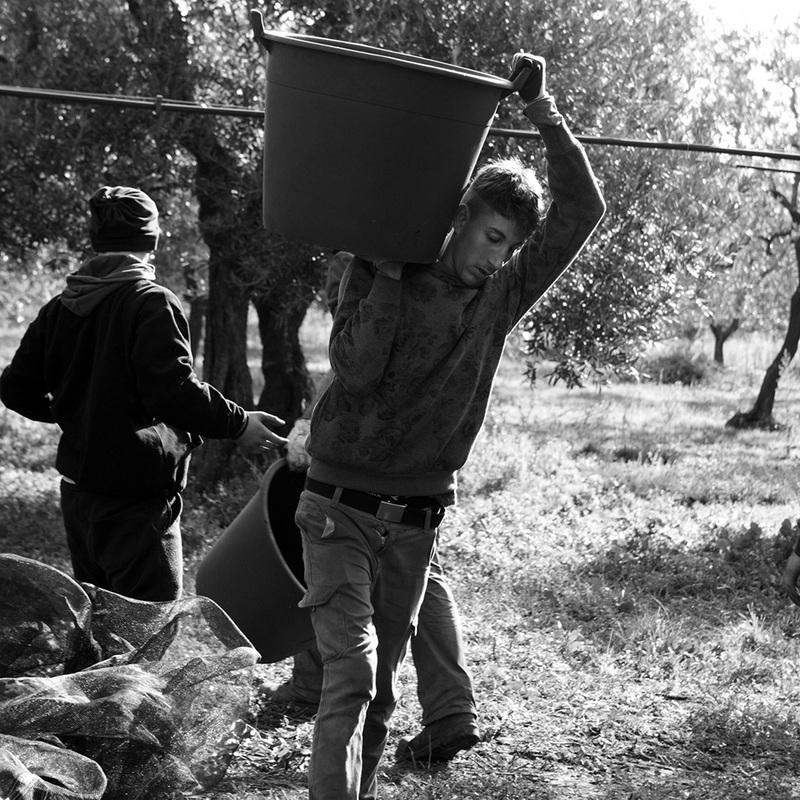 They shake the branches and wait for the rapid rain of olives, then, loaded with their loot on their shoulders, they smile because there is no day more beautiful than the harvest one. 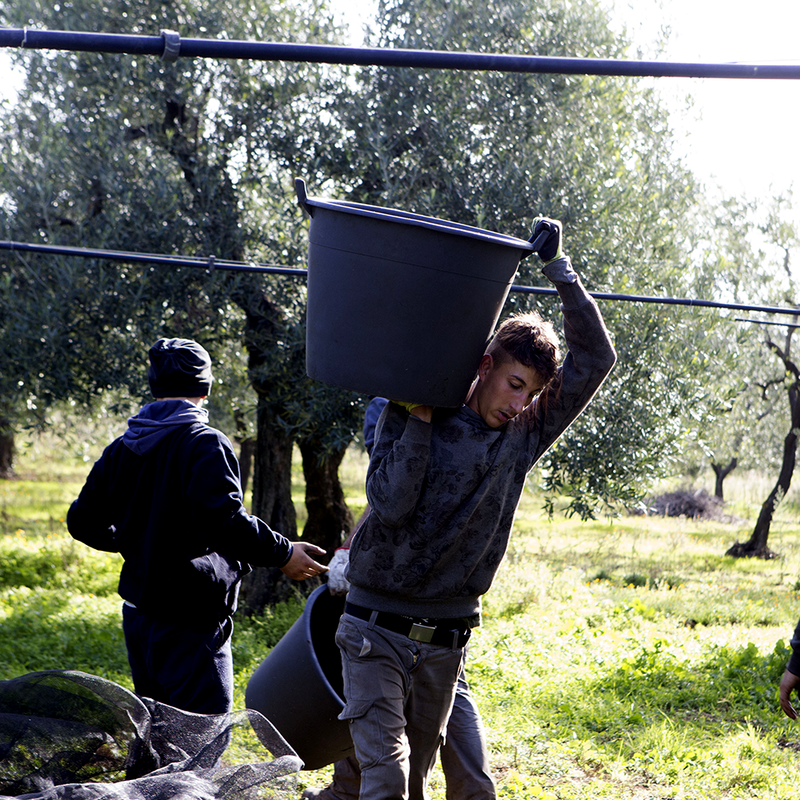 There is no day more beautiful than that of the olive harvest. 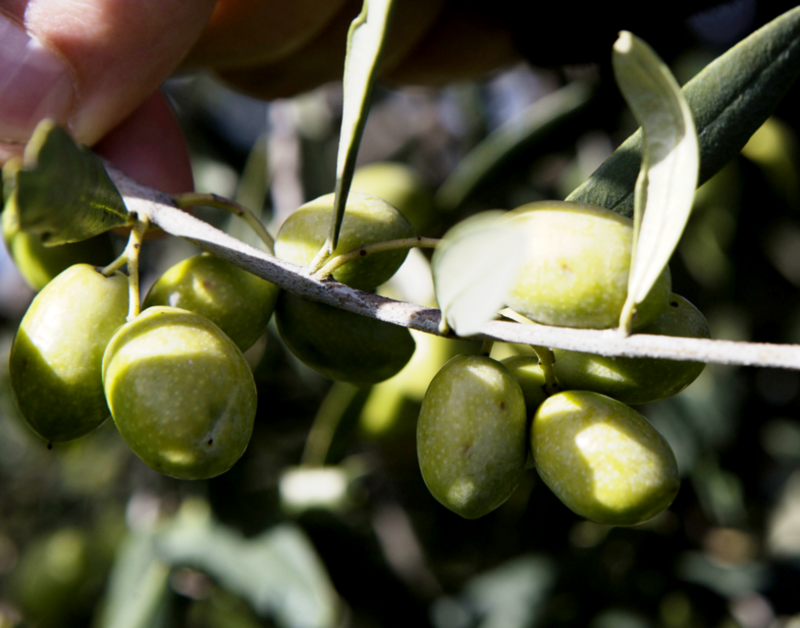 All the care and attention that the olive trees receive during the year are released in a few months, from October to late Decem-ber, depending on the cultivars. 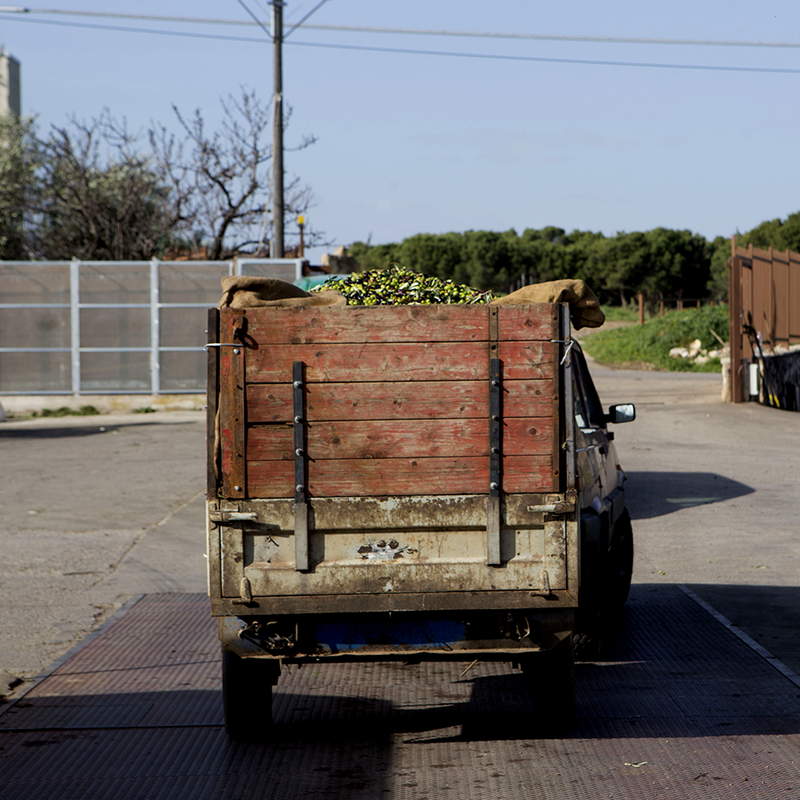 The harvesting is a fundamental moment for us where an en-tire “family” composed of our team moves in unison for the success of the operation.